Congratulations to Dr. Frosso Adamakos on winning the ACEP 2018 Drop the Mic Speaking Competition! In this competition, around 35 speakers from all levels of training (PGY1-PGY infinity!) from around the country had 10 minutes to give a lecture on the topic of their choice. The winner was chosen by a panel of three judges. Because of her win, Dr. Adamakos has a guaranteed speaking spot at ACEP 2019. Judging was based on timing, topic, speaking style, presentation appearance, body language etc. 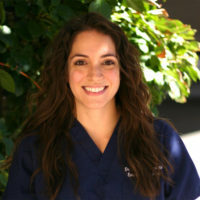 Dr. Frosso Adamakos is the Assistant Program Director for the Department of Emergency Medicine at Metropolitan Hospital-New York Medical College in New York City. She is a native Brooklynite, but lived in Montreal Canada for 10 years as well. After completing residency as a chief resident at Maimonides Medical Center, she worked at the Staten Island University hospital academic and community sites where she ultimately developed her niche in resident education. Nowadays, besides being an APD, she also is a ring-side boxing physician for USA Boxing, is involved with the regional ALL NYC EM Committee, a BEEM Peer Review Researcher, Fundraising Chair for the Gender Equity in Medicine Research Foundation and a FemInEM/FIX friend.